Q: So, how did it feel walking into ICM this year? Sheanne: Words can’t describe the enormity of the space that stood before me; suits, the colour red and more suits! It was clear to me that Fujitsu sure know how to put on a large scale event. 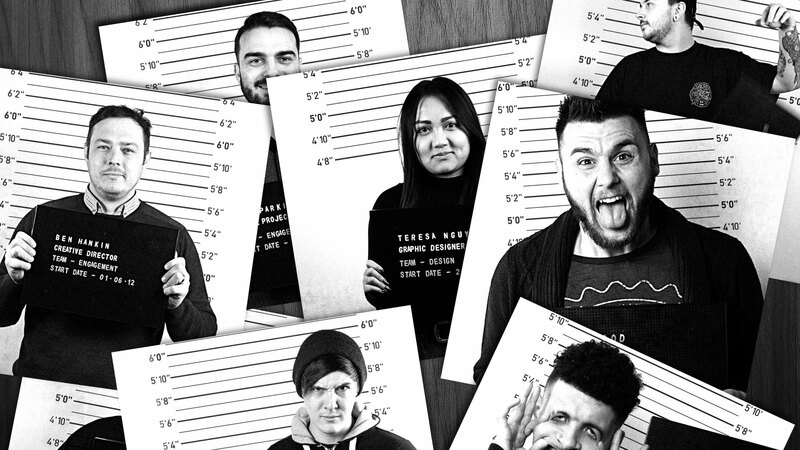 From the catering to the demonstrations, everything was done to an incredibly high calibre. I walked in and just thought ‘Wow’! Neil: Well, having been to the ICM a few times now, I was a little dubious this year. There wasn’t as much “hype” as other years so I was expecting it to be of a similar ilk to times gone by. Thankfully, I was wrong…the impact all felt a little different. Not quite so cramped, less suits than normal (still lots), more focus on the key messages and it felt more tied together than previous years. Q: Do you feel like the event gave you what you went for? Sheanne: Yes I definitely got what I wanted, which was further knowledge of Fujitsu and why they do what they do. I also enjoyed meeting our clients and putting faces to names. They were all really lovely which made my experience even better! As an advocate of the ‘pen and paper’, I felt truly educated and enlightened to the world of technology and innovation within a variety of sectors. 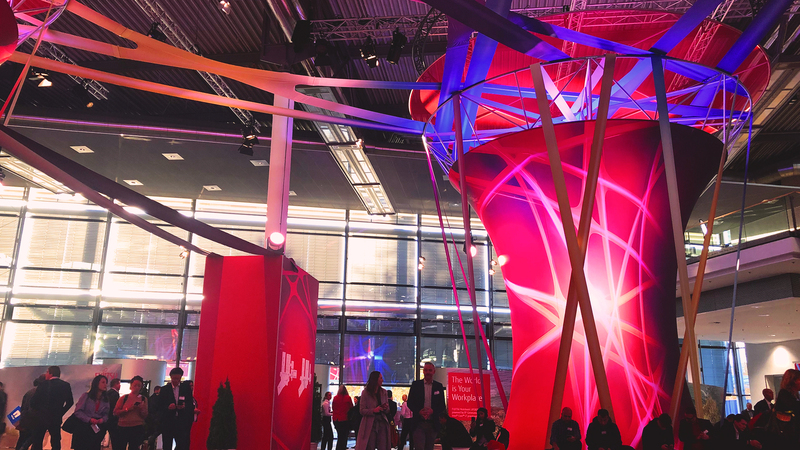 The use of the ‘Fujitsu City’ as an exhibit to showcase Fujitsu’s latest technology in situ provided me with extraordinary insight into our next generation of retail, financial services and transportation just to name a few. I felt warmly welcomed into Fujitsu’s vision for the future! 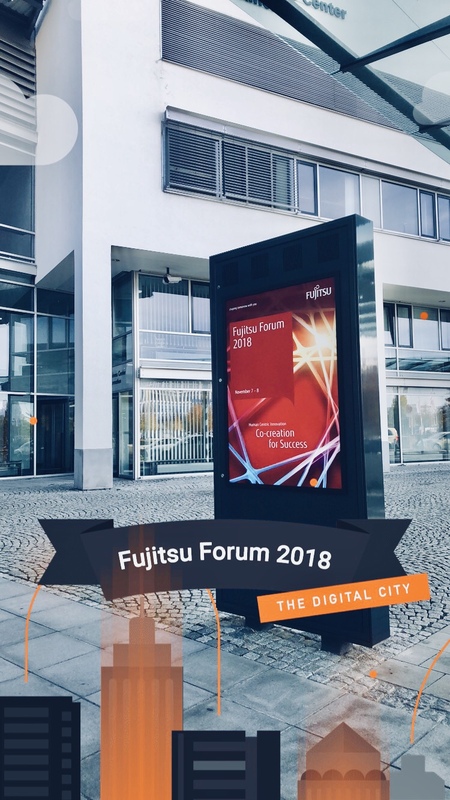 Neil: I’m going to be a little cynical here…I felt like the event delivered on a number of educational standpoints and really helped to understand the next steps for Fujitsu’s growth as a business. However, I still felt like there was just TOO much trying to be said and actually increased focus to a targeted audience could create less fragmentation between everyone that was walking around. However, if you’re there for a specific reason or topic then it just took a bit of working out to decipher where you should be and at what point in time. Sheanne: Yeh, I suppose I agree, at times I just did not feel fully immersed within it all. More like I was floating through trying to find what I needed. 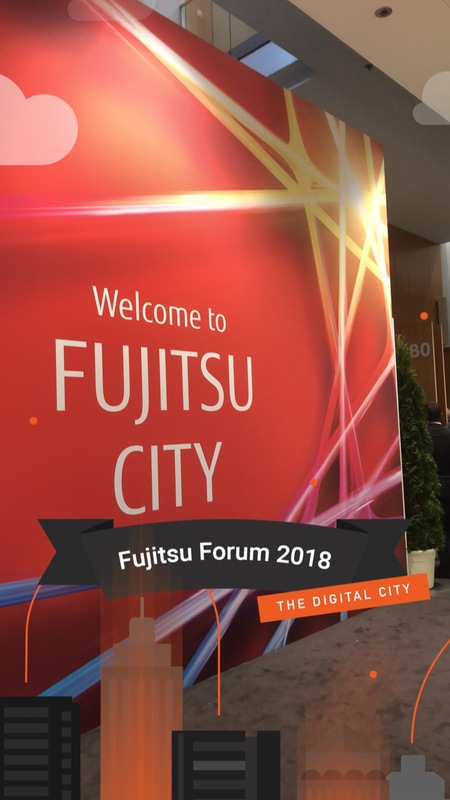 Although the Fujitsu City was a good ‘exhibition’ of Fujitsu’s products and solutions, I feel that this concept could have been further expanded upon by turning the Fujitsu City into an ‘experience’ in its own right. 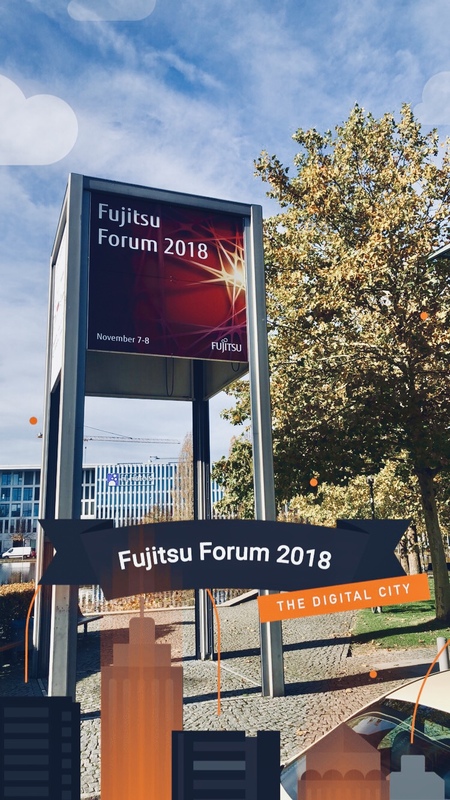 As a millennial and a keen beginner in this industry – it would have been amazing to have been able to explore and learn more about Fujitsu’s capabilities through the use of more immersive and experiential techniques. I’d been looking forward to trying out some VR experiences or participating in an AR challenge and really getting involved! Q: Was it a challenge around interactivity for you both then? Neil: I would say so, I think that the communication and interaction between an audience and a company can really speak volumes when you’re at one of these events. The week after Forum I actually went to another tech-event and this felt far more like I was there to soak it all in and called upon me to do so…everything was clear, easy and automated in terms of the normal logistical headaches so it cleared my mind to find out more, there was also lot’s of opportunity to feedback on everything I had attended…with which I got a lovely free mug in return, which I just so happen to be drinking a Yorkshire Tea from right now! Sheanne: Yes Neil, but it’s about more than just freebies, the fact you got to fully immerse yourself into breakout sessions is great. At Forum, I think because I was new to it and there to be educated, the break-out sessions that I managed to catch were very informative, engaging and left me with vast food for thought. I loved listening about theories and methodologies such as ‘Agile’ to predict how business can work in a more flexible and contemporary way in relation to organisation and project management. It really prompted me to question my own way of working and how change is coming… As a novice to the world of IT and Technology, it made me feel excited and almost impatient to meet it head-on rather than shy away as I typically have done in previous endeavours. Neil: True, maybe I just try to squeeze a lot into Forum and never really get the opportunity to just sit back and go for the ride…perhaps that should be my plan for next year!? Q: What did you learn about Fujitsu as a company? I was reminded that this is all for a greater purpose. To help people. To aid health and human experience. To improve lives. Mechanical limbs, virtual reality for educating health professionals. These kinds of topics are researched and developed, meticulously tried and tested to support the real cause worth working relentlessly towards; happiness. An investment we should all buy into! Neil: I suppose for me, it wasn’t so much the same as Sheanne, I actually gained a lot of insight into what the future holds for Fujitsu…which as a supplier to them…is critical. If we can understand the corporate stance on specific products, sectors, major trends etc…then we can reflect that in the work that we create. There’s always impressive, whizzy “stuff” to see at Forum but I think I’m often a bit blind to it as I don’t take it in like I used to…that’s old age for you! Q: Can you summarise it all for us? Sheanne: Well, if Fujitsu’s goal was to spread the message of the importance of human-centric co-creation within technology, they have certainly achieved this. 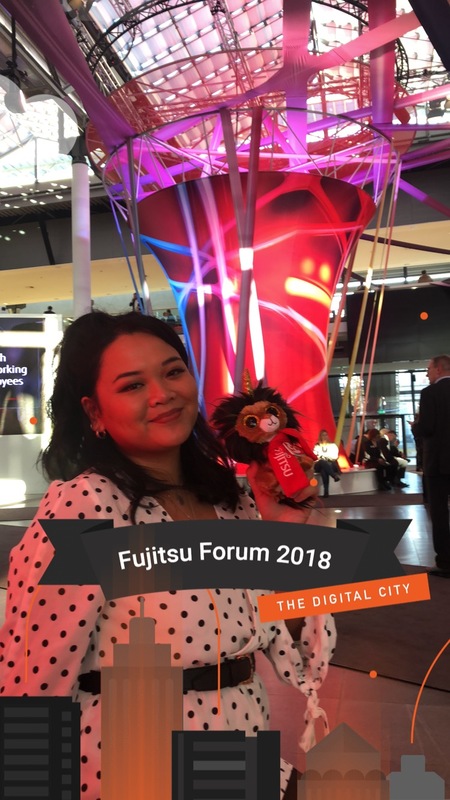 I would just like to say a big thank you to everybody that I was fortunate enough to meet and listen to at Fujitsu Forum, and as Neil said – I look forward to continuing our journey with Fujitsu as a long-standing supplier towards the future that they are innovating! Neil: I was only there for the free food 🙂 no, it was great for me to see all my ex-colleagues and current clients again to catch up face-to-face with people I’ve never even met before. From an educational standpoint, I’d have liked to have learnt more BUT the event was a vast improvement on previous years, it felt a bit more modern…I wouldn’t say it was an Apple event, but then, Fujitsu are never aiming to be Apple…it felt more honed but I’d love to see this refinement developed even further for next year!